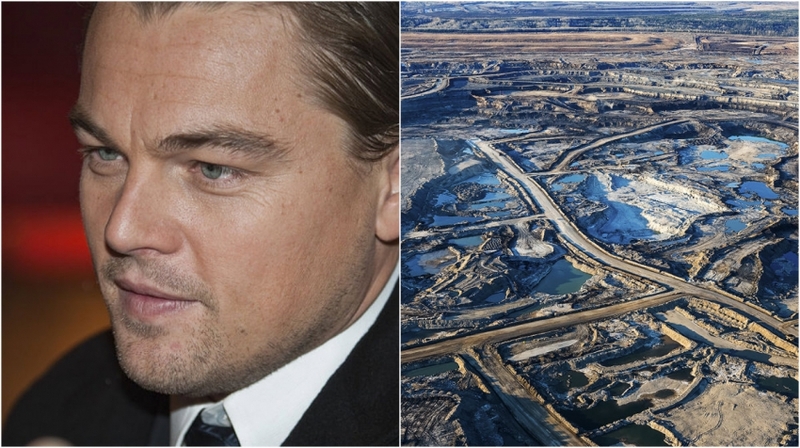 Leonardo DiCaprio -- the global superstar actor behind The Wolf of Wall Street and Titanic fame -- crashed the remote village of Fort Chipewyan, in the oil sands region of northern Alberta today, according to a well known Fort McMurray physician. The actor's purpose is believed to be to research and film for an upcoming environmental documentary. One of his previous documentaries - the 11th Hour - was about the growing alarm over global warming. Dr. John O'Connor is hoping he'll also draw international attention to the cancer and health concerns of First Nations people living downstream of Fort McMurray. "I'm delighted," he said, "he tweeted to 11 million people this morning." 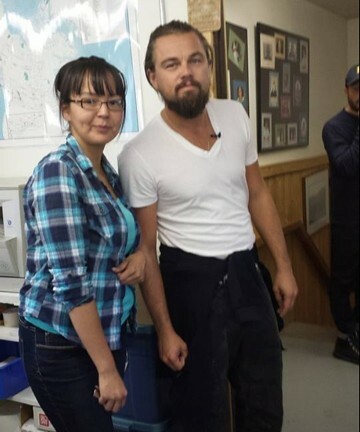 Leonardo DiCaprio and Pam Gibot in Alberta in Fort Chipewyan on Friday. DiCaprio is one of the leading voices in the environmental movement in Hollywood. He's currently behind Green World Rising - a series of short films on the state of climate and solutions to the climate crisis. A leader in the Athabasca Chipewyan First Nation disputed the presence of DiCaprio. DiCaprio's presence is certain to cause a stir in the Alberta hamlet whose population is 847. Dr. John O'Connor, who was the first to raise the alarm regarding high incidences of a rare cancer among his medical practice in Fort Chip, is one person DiCaprio may be speaking with while in the area. He told the Vancouver Observer that DiCaprio flew to Fort Chip this morning with Chief Allan Adam, chief of the Athabasca Chipewyan First Nation. O'Connor is grateful for the attention Hollywood celebrities bring to the problems of the community he serves. 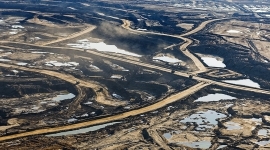 Other celebrities who have visited the area to understand the scope and impact of the tar sands are Neil Young, James Cameron and Daryl Hannah.